How to Make a Qi Wireless Charging Car Mount! For those of you who commute to work daily or perhaps you drive often in general, you may want to consider setting up a Qi wireless charging car mount so you can have your Android smartphone charging wirelessly as soon as you step into your car. If you own an Android smartphone that’s Qi compatible such as Nexus 5 and Nexus 6 or you have a phone with a Qi-enabled case (like Note 4 S-View case), you can greatly benefit from having wireless charging in your car. Also, for most Galaxy and many other smartphones, you can get a Qi-wireless module that piggybacks onto back of your battery (See our article on wireless charging receiver). 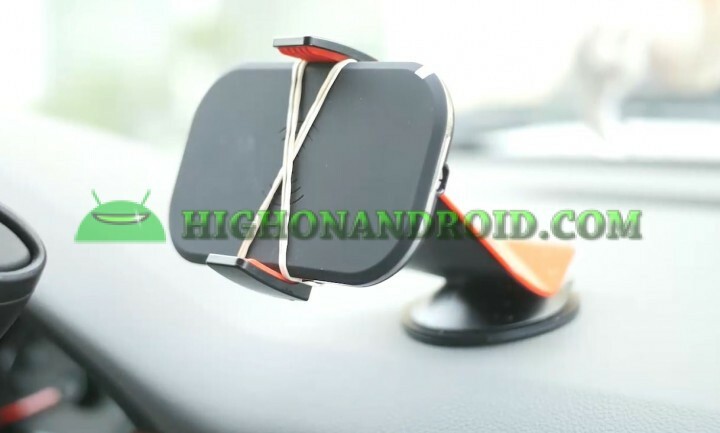 Now, you can buy a Qi Wireless Charging Car mounts but the ones currently out on the market come with poor Qi charger plus they come with an older suction cup that doesn’t mount well on dashboards. A better way is to make your own by getting the best Qi wireless charger and modding it onto a gel-suction smartphone car mount. This way, you get the best of both worlds, a high-powered Qi-charger that’s going to charge your phone faster (rated at 1Amp output charge) plus you will be able to stick it any type of dashboard with a gel-type suction car mount. Step 1. 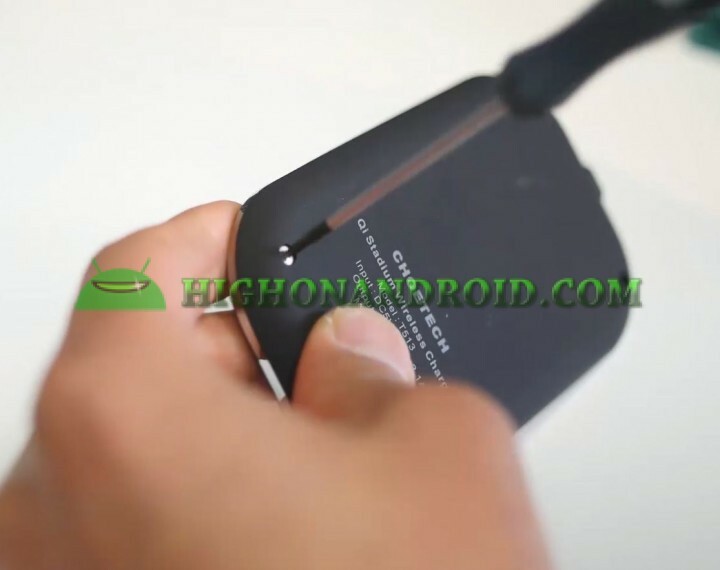 Pull the rubber grommets off on the back of the Qi charger. Step 2. Unscrew all the screws. Step 3. Use a marker to mark where the car mount will fit. Step 4. 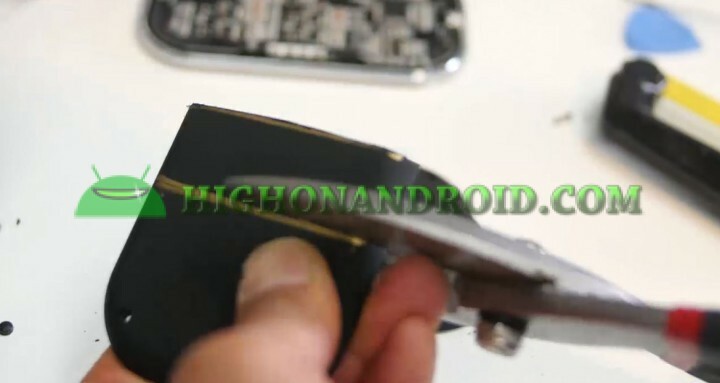 Cut away the middle of the back cover using a saw or wire cutter. Step 5. Screw back on the screws. Step 6. Put the Qi charger on the car mount. It should fit perfectly. Step 7. Get two rubber bands and wrap them around the Qi charger and the car mount to make it more stable. Step 8. Connect a micro-USB cable to your car USB charger and you should be ready to go! Next story Ricoh Theta M15 360 Camera Unboxing! Previous story Kodak SP360 360 Camera Unboxing!